Well, it’s official. 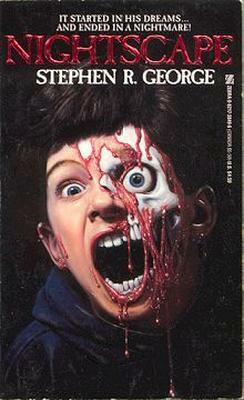 Crossroad Press will convert and publish all Stephen R. George eBooks. Crossroad, under their Macabre Ink imprint, has a long list of horror authors, including some Zebra and Leisure authors who were publishing at the same time I was. They really seem to have a handle on digital publishing and, even more important, a totally author-centric process. I’m really looking forward to working with them. First up, Nightscape. Here’s the original Zebra cover, probably the most lurid cover ever attached to one of my books. That said, it’s grown on me over the years.